MORSE State. This is a compound state that allows accessing the properties of the bodies the state space is constructed for. 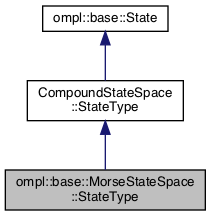 Definition at line 53 of file MorseStateSpace.h.